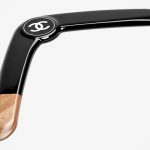 French fashion house Chanel better known for chic women fashion pieces and perfumes, has dropped two items which we never in the world expect to find in its collection. So what is that we are the items that surprised us? 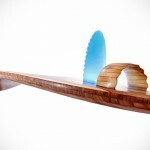 A skateboard and a surfboard. Yes, my friends, Chanel-branded skateboard and Chanel-branded surfboard are a thing and they are part of the brand’s Spring-Summer 2019 collection. 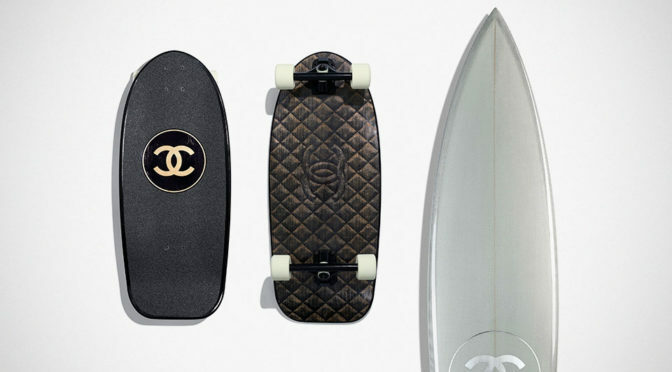 And trust me, they would be pricest skateboard and surfboard you will ever buy. But more on that in a jiffy (we want to make sure you are seated for prices). Details are pretty much non-existence. Hell, the product listings do not even have size. 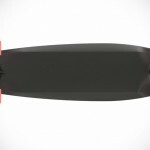 However, we do know that the skateboard is of lacquered wood and the surfboard is made of aluminum, glass and polyurethane. 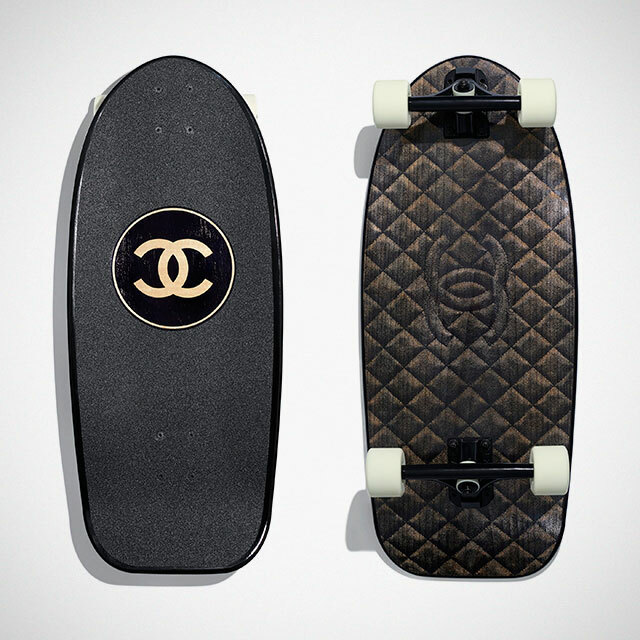 Also, from what we can see from the product images, the skateboard has a prominent Chanel branding on the grip tape on a black lacquered board and the underside appears to sports the iconic Chanel stitched quilt design accompanied by a stitched Channel logo. Rounding the package are black trucks with with bushings paired to white wheels. Trust me, you wouldn’t want to board slide with this, or any other grind tricks for that matter – more so when you know this baby is going to run you back at a cool $7,700. Yup. That’s nearly 8 grand for a skateboard, folks. As for the surfboard, from the lone image, we can only make out that it is in pretty cool silver, but not the Silver Surfer’s kind of silver, unfortunately. 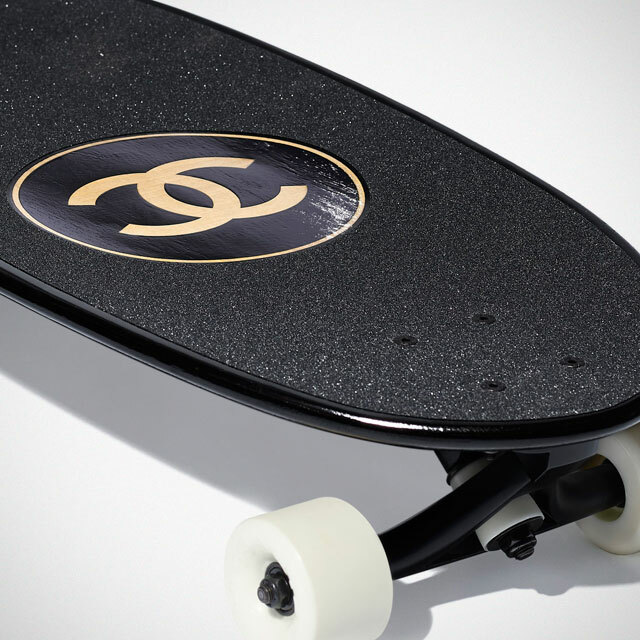 It has a silver-white surface with silver trimmings and a silver Chanel logo to the tail of the deck. It also appears to be outfitted with a safety leash anchor point at the tail. No details on the fin(s) configuration, though. 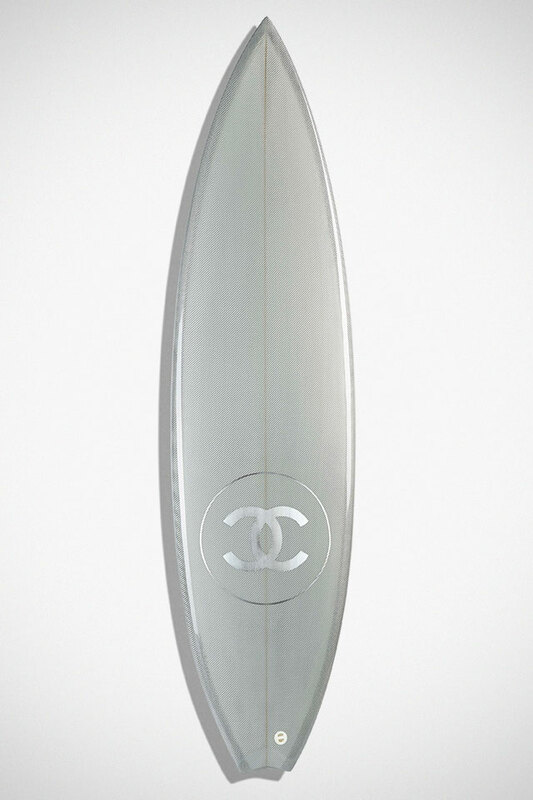 Seriously though, you ought to be a super rich, surfboarding-loving, hard-core Chanel fans to be wanting a Chanel Surfboard because, you have only the brand to trust and that’s not to mention this thing here cost a pretty mind-bending $8,900 a piece. Holy smoke!